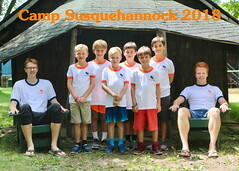 We’re been running a new feature this summer entitled “Meet the Staff.” Campers were selected to interview new Counselors or Junior Counselors, asking them a number of questions so you, faithful reader, are more familiar with the newest members of the incredible staff at Susquehannock. Q: Where are you from; what college/high school do you attend/where do you work? A: I’m from Brooklyn, NY and I currently attend Macalester College in St. Paul, MN. Q: How did you find out about Camp? A: I found out about it through my friend Walker Harrison. Q: What is your favorite sport to play or coach? Why? A: I’d have to say Ultimate or Soccer because I have the necessary understanding of these sports. Q: Describe a role model in your life that inspired you to work with children. A: Definitely my fourth grade science teacher Mr. Sebauw. Q: What’s your favorite meal in the Dining Hall? A: Beef Stroganoff – it is hearty and delicious. Q: What’s your favorite part of Camp so far? A: Being in a coaching position during Orange and Blue competition. Q: What’s your favorite baseball team? 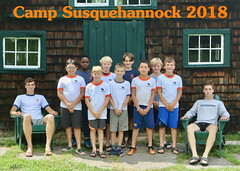 While 1986 Day was celebrated in the Girls camp, the Boys camp played yet another game invented at Susquehannock. MC Fireball, as it is played now, was developed by former camper and staff member Dan Logue. The game features runners circling the bases of the baseball field while the other team throws soft Gator Skin balls to get them out. Mats are erected at each base to provide a safe zone for the runners to catch their breath or work on strategy. Like baseball, both teams have an opportunity to run and throw. New point values are assigned for runners doing a Crab Walk, Piggy Back, etc. every round. 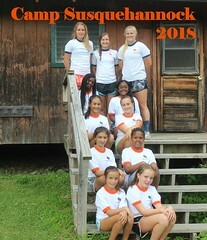 We’re starting another new feature this summer entitled “Meet the Staff.” Campers were selected to interview new Counselors or Junior Counselors, asking them a number of questions so you, faithful reader, are more familiar with the newest members of the incredible staff at Susquehannock. A: Berwyn, PA and I attend Conestoga High School. A: My parents are friends with Tim Kent who recommended Susquehannock to me. A: Squash. You can play it no matter what the weather. 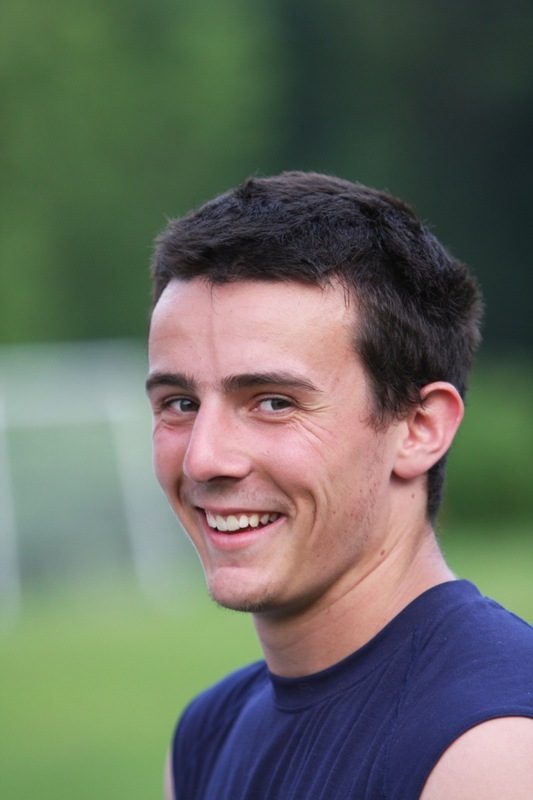 I like to coach soccer here at Camp. A: My dad always coached sport teams and I thought it was cool that he helped their team win. He definitely inspired me. A: Pizza or Strawberry Shortcake. The cook-outs are fun, too! A: The Fourth of July and World Games. So, all the group activities. Camp is in full swing! Our second week opened with our traditional Fourth of July activities. The girls were divided into Red, White and Blue Teams for the morning and they did cheers, ran the “Yankee Doodle Dandy” fun run and made a human flag. In the afternoon, both S4B and S4G met for a Fourth of July address and the Pledge of Allegiance and then were divided into co-ed teams for the Field Day. The teams held a spirited competition with culminating in the Tug-O-War competition. After all that work on the fields under the sun, campers enjoyed a swim in the lake and cookouts. This week the campers also went on their overnights this week. These camp-outs provide the girls with a fantastic opportunity to experience the outdoors in a special way. Cooking out, singing songs, telling stories and sleeping under the stars are the basic ingredients, but each camper returns to camp the next morning with their own story about the camp-out. The biggest highlight of the week was 1986 Day. We chose this day to commemorate and celebrate the 25th year of S4G. Dede and George Shafer, Mary and Jim Powell and Cannie Shafer all shared some old S4G traditions and we all learned so much about how the girls camp was founded from the people who were there. Mary and Jim Powell led us in some classic S4G camp songs and we enjoyed a historical skit about the Pioneer Counseling Staff. Tarryn Rozen, a former S4G Head of Camp led us on a “Bear Hunt” to round out our 1986 Day morning meeting. We invite all of the illustrious alumnae of S4G to send us your memories of camp so that we can share them in our celebration of 25 years of S4G during the second session of camp. 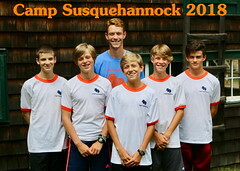 One of the most lasting experiences a camper will have is the friendships he will make at Susquehannock. Let’s face it, the camp community is an ideal environment for developing close and long-lasting friendships. After spending several weeks sharing a living space, eating and playing together, campers will form strong bonds. These friendships are unique because they transcend all boundaries; race, religion, home, language and even age. I have few friends that are closer to me than my camp friends. Some were my cabin counselors. Some are the guys I worked along side of as a cabin staff member. Some were my campers at one time. Others are the guys I met upon returning to camp full time three years ago. 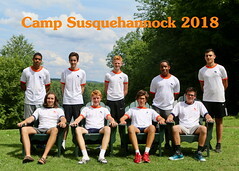 They represent a diverse group; however, we have one thing in common, Camp Susquehannock. In the grand scheme of things, spending three, four, even seven weeks out of a year with someone seems insignificant. There are ten months between the closing day in August and opening day the following June; more than enough time for a friendship to fade. Yet, camp friendships endure because the quality of the time spent together at camp builds relationships that are deep and meaningful. 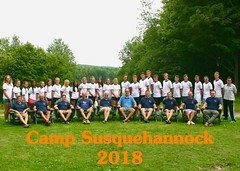 At Susquehannock we rejoice together in the highs, cry together in the lows, and share a passion for camp. There is no magic elixir made from the clean, clear waters of Tripp Lake that we secretly add to the ice cream. The recipe is much less complicated. Simply add a bunch of boys together on a beautiful Pennsylvania mountaintop and allow them to mix for three to seven weeks. Afterwards, enjoy the friendships for the rest of your life. Past Directors, staff and former campers gathered with the current girl campers to celebrate the 25th anniversary of Susquehannock for Girls on Saturday, July 9th. The esteemed guests regaled the girls with memorable stories about the founding of their camp, explained traditions and even had the girls get to their feet to participate in some sing-a-longs. Campers were encouraged to don ’80s gear in honor of 1986 Day and many participated in the day’s activities still dressed up! We also offered a special Watercolor painting clinic, led by special guest Shelly Flint. The day ended up with a special ’80s themed co-ed activity for the older campers of both Camps, which featured a choreographed dance-off won by the girls of Aspir Inn. A: Flemington, NJ and I attend Rutgers Prep. I work as a Crossfit Trainer and also compete in the Crossfit Games. A: My sister went for three years. A: I like Street Hockey the best because hard work pays off. 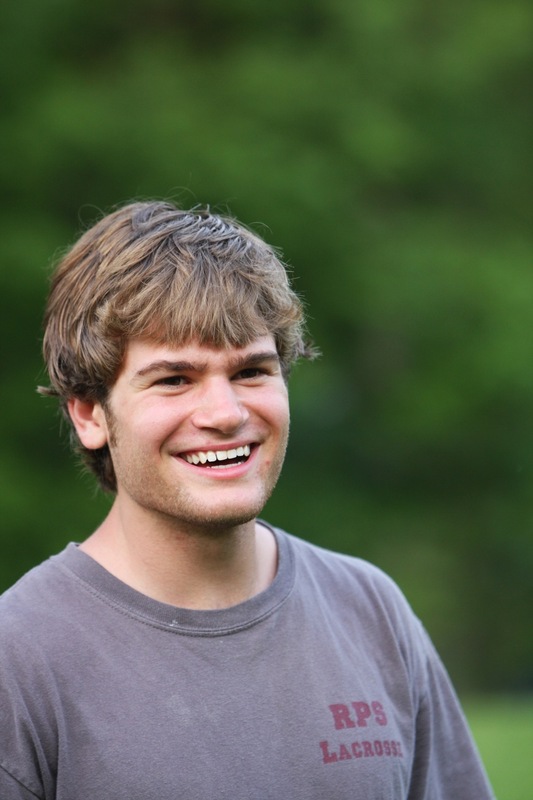 A: My former counselor Luke Babcock because he made everything fun. A: Salad with meat in it. Q: Why do you like pushing yourself so hard in workouts? A: Because I like finding out how far I can push myself. If I can push myself to the limit in a workout then other parts of life become easier. 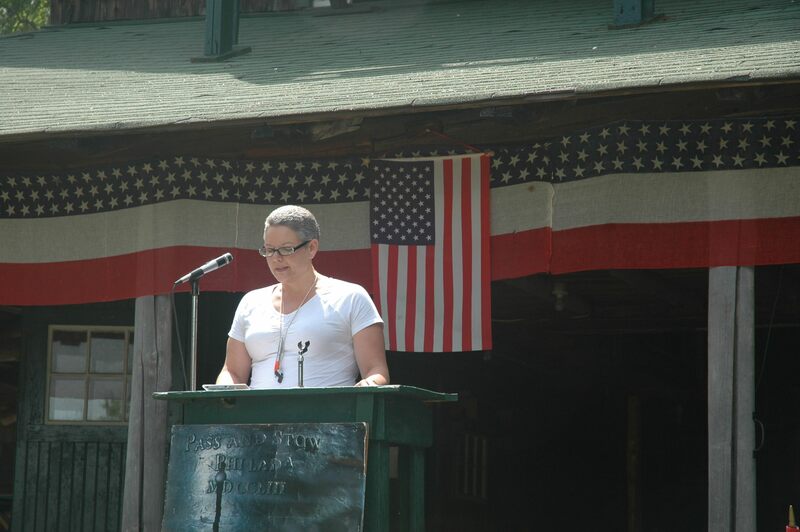 When Cannie asked me to make the speech commemorating the Fourth of July celebration, I began thinking about all the things I know, or think I know about the USA. I thought about the history of the people who lived on this land before the Europeans arrived, the influence of those Europeans on all the events that followed, all the ways our history is connected to the broader world and its complexity. Certainly I knew that you would not want to listen to a long history lesson in the middle of your camp summer. (I’m going to give you one anyway, but it will be brief!) So I started thinking about what my country means to me, what makes me proud to be a citizen and a representative of the United States. As a history and geography teacher during the rest of the year, I teach the importance of culture. If you have studied world cultures, you know that they are not static, they spread and change and merge together. One aspect of culture that I want to spend a few minutes talking about today is music, specifically jazz music. That may seem unusual on the Fourth of July when you might expect to hear or sing the National Anthem or “America the Beautiful” or even “Yankee Doodle Dandy”. Jazz may not seem like patriotic music to you at first glance. Jazz grew out of a uniquely American experience. Its roots lie in both Africa and Europe, but it was born in America. Traditional African music, brought primarily by the slaves who came to the United States with nothing except their culture, Jazz got the pentatonic scale, rhythm and beat, call and response, the use of different kinds of voices. In traditional African music, there was no “perfect” sound. European music influenced Jazz with its concepts of the use of instruments and harmony. Where did all these things come together? The birthplace of Jazz is New Orleans, a uniquely American city. Immigrants from many cultures had come to live in this important trading city that was shaped by its geography. New Orleans belonged to France and to Spain before becoming part of the United States and it provided the perfect place for a new form of music that was the essence of America to be developed. So, what does all this have to do with the Fourth of July and why does Jazz make me proud to be an American? Jazz exemplifies what I treasure about America. It represents freedom, ingenuity and innovation by individual musicians. However, exceptional and brilliant individual solos can happen only out of a foundation of cooperation and practice — the hard work that is done toward a common purpose. Jazz by its very nature represents diversity and tolerance. It could have only been created in a society composed of people who shared and appreciated the differences among them. As we celebrate today, and as you leave camp and go back to your life as it is the “other 10 months of the year”, I encourage you to think about what you treasure about your country. Continue to learn and explore the history of our country and our connections to the global community. Ask questions and question the answers you are given. Find a way to connect to your country in a meaningful way. Find out what it means to be a good citizen and dedicate yourself to promoting the ideals of America. Both Camps gathered up the hill on a gorgeous Monday to celebrate American Independence Day in true Camp style. After being welcomed by Director Win Shafer, Head of S4G Trish Pearson offered an address that incorporated a reflection on how music relates to the spirit of the United States. The co-ed teams were then announced with a new wrinkle for this year’s events: each team was given a state to represent, which led to a lot of creative cheers and spirited celebrations. The teams participated in some new events, as well: the Sponge-to-Bucket Relay, Scavenger Hunt and the Balloon Shave. These new additions joined the returning popular favorites: Tug-O-War and Sack Race. After completing all the events, campers went down the Lake for a refreshing dip and then enjoyed a cook-out at fireside. Team California, consisting of campers from Seldom Inn (S4B) and one-half of Razz Inn (S4G) emerged victorious when all the tabulations had been completed. Congratulations, everyone! We have added two new photo galleries highlighting our exciting first week HERE. Enjoy!